Jay Z's Cold Calling TIDAL Subscribers, So I Have To Wonder: What Would A Random Phone Conversation With Him Be Like? 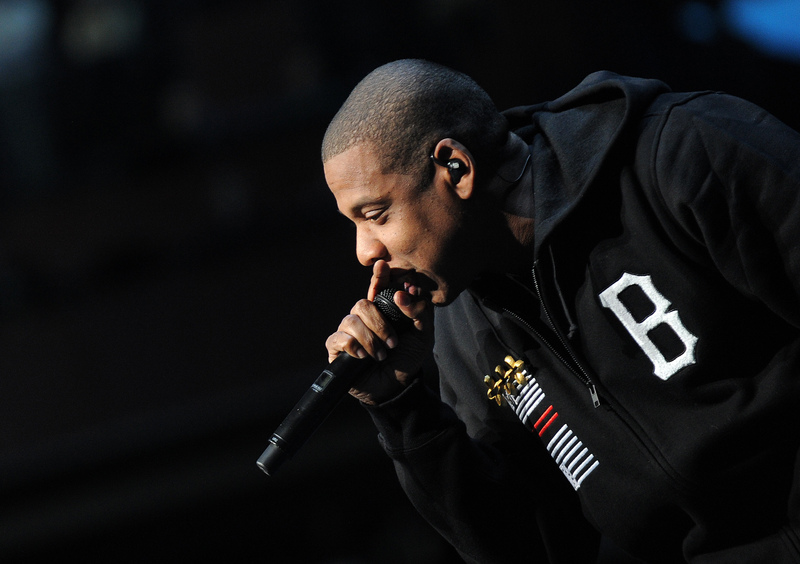 Jay Z has 99 positions on his resume, and believe it or not, telemarketer is officially one. Now, there a probably a few people with brows furrowed in skepticism, and trust me — I realize how preposterous that sounds. But, before you guys start imagining him wearing a headset and trying to sway you into purchasing a vacation, new gadget, or home alarm system you don't want or need, that's not exactly the type of telemarketing I'm referring to here. You see, this cold calling is being done on behalf of Jay Z's new streaming service TIDAL. According to Billboard, Jay Z is cold calling TIDAL subscribers, along with Jack White and many other celebs tied to the site. So, if you're one of the many folks who already signed up, and an unidentified number shows up on your caller ID... well, let's just say, you might want to rethink sending it to voicemail.Anyway, what would a person even say during an impromptu chat with Jay Z? Maybe something like, "Oh hey Jay! Psh, nah, I'm totally cool with you calling me out of the blue. I mean, celebs call my phone all the time!" Maybe not. Perhaps a Jay Z version of that Drizzy app that texts Drake's song lyrics might help the flow of the conversation? It could — or it could turn out to be a major disaster, like this totally hypothetical chat between Jay Z and a totally unsuspecting writer named Kenya Foy. Kenya: *Sighs deeply* "Hello? "Jay Z: "Um, yeah this is Jay Z. I guess we got disconnected? "Kenya: "So, you really expect me to believe this is Jay Z? "Jay: "Yeah it really is." *insert Jay Z's signature laugh*Kenya: "OK, fine, I'm in line at the grocery store, so I'll play along with you. Can we Facetime, so I know it's real? "Jay Z: "Well, I —"Kenya: "And why wasn't Blue Ivy in the video for "Glory"? "Jay Z: "Well, she —"Kenya: "And where is Beyoncé? Does she know you're chatting up perfect strangers on the phone?" Kenya: "Oh my God, this really is Jay Z! Can I please speak to Beyoncé?! I just want to record her speaking for my voicemail message! It'll only take, like, five seconds!" Kenya: "Jay? Jay, where did you go?"